It’s been a while since I’ve shared pictures of my little orchid plant, hasn’t it? To be honest, it’s because I haven’t really had any new pictures to share. The last bunch of flowers all fell off, and then… nothing. It was like the plant had started to die. Then, suddenly, there was new growth. There are new roots making their way out of the pot (which makes me wonder if I should risk trying to move the plant), a whole new base stem, and new shoots off of the two original base stem. Plus, there are these guys. 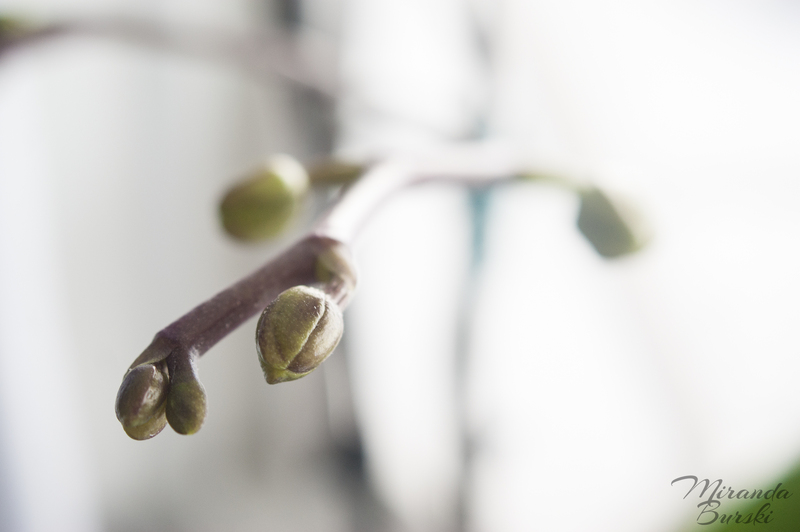 New flower buds are popping up all over the place. It’s like spring on my window sill. I love it, and I can’t wait until the flowers actually bloom again. Rest assured, you’ll see pictures of them here not long after they do.